At our office, YOU are the most important thing to us. You are what drives us to do our best to reduce your pain and return you to maximum health as quickly as possible. Without YOU, we wouldn't have the successful practice that we have, but we also know results is all that matters in the end. It is our goal to give each patient our time and full attention, especially on the most important visit, your first visit. On your second visit we will give you a detailed explanation of what we think your problem is and treatment options. 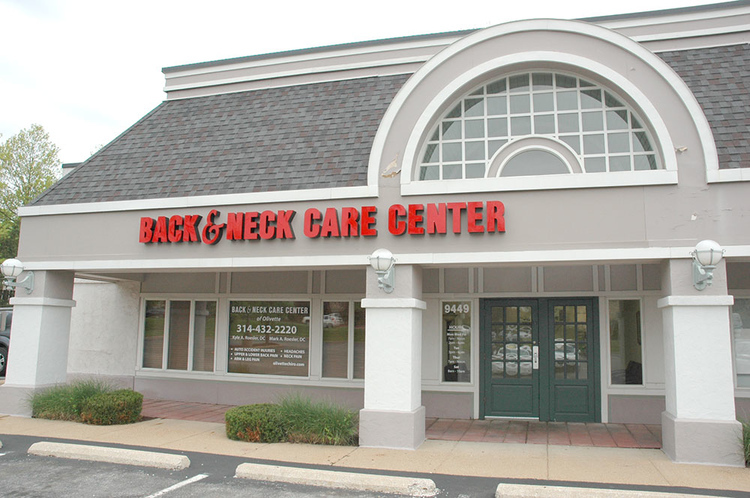 At Back and Neck Care Center of Olivette, we provide chiropractic treatment that can help people who suffer from a wide variety of conditions, as well as people who are suffering from things like auto accidents or personal injuries. We are also happy to work with health insurance and Medicare. We have enjoyed seeing and treating thousands of people across the St. Louis area since our clinic opening in 2014. This can only be done by utilizing proven techniques and therapies to reduce your pain and speed your recovery whether you've been injured in a car accident or hurt your neck or back around the home. Get a FREE History and Consultation Today! Learn more about what we do and see our office! Learn how we can help relieve your pain!